The Special Appeal has been a part of LuFEST since the 1980s, and has effectively funded many special projects to enhance the mission of our Lutheran High School. The birth of our one-to-one student laptop program, the LED lights throughout the building, several of the white school buses, the ACE Lab, the digital audio sound system in the auditorium are several examples of projects that are a direct result of successful LuFEST Special Appeals. As we approach LuFEST 2018, some are beginning to ask about the next pressing need for LHS that will be revealed as the Special Appeal. What will be the project that tugs at the heartstrings of our Saints community? What will take center stage when the silent and live auctions take their final bids? What will compel the stakeholders of LHS to lift their paddles and give $5,000, $1000, $500, or $100 in direct donations? What will propel the students of LHS into another successful year? Let's call this next appeal "Operation Dry Tile." That is correct, Operation Dry Tile – because we have a roof repair project that is long overdue. This will give attention to the LHS roof that has been patched, caulked, repaired, and in some places replaced. 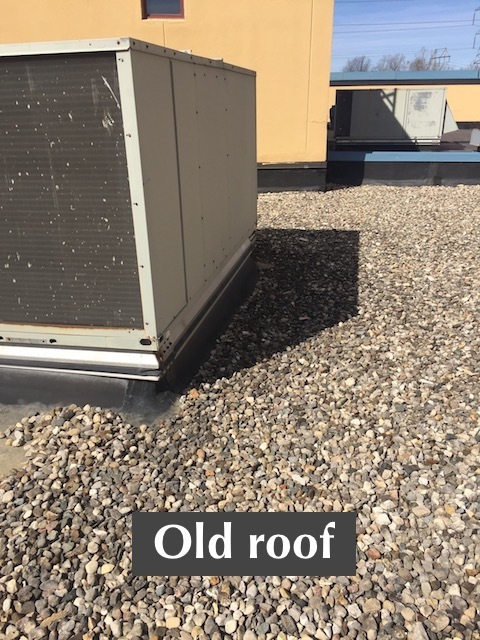 A roof project that needs the funds to properly replace a trouble-section and keep rain water from soaking both ceiling and floor tiles. A future roof that will not require brooms, buckets, and mops to capture the results of unwanted water features. A roof that protects our mission investment and helps to ensure an excellent student environment for years to come. 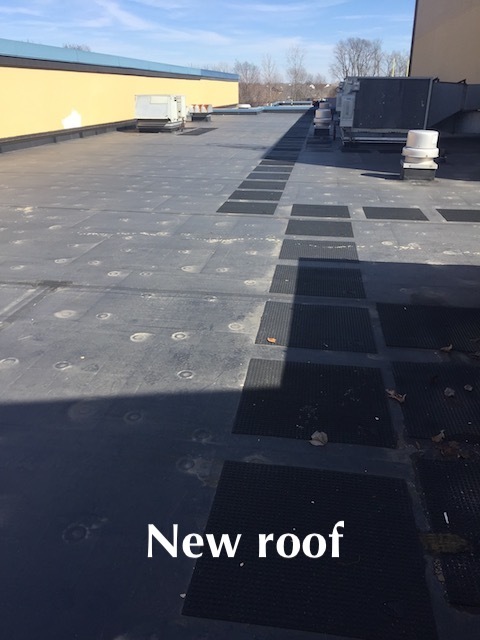 The goal for Operation Dry Tile is to replace one section of the LHS exterior flat roof with new Firestone roof system. The 20 year life-span will ensure a rain-proof environment over rooms 102, 103, 104, several office rooms, the mechanical rooms, and a student hallway. The project cost will be $52,000. Come and join us at Lucas Oil Stadium for Operation Dry Tile. Visit lufest.org to reserve your spot or preview some of the items up for bid. For over 40 years now, Lutheran High School has been preparing students for college. In fact, since its beginning in 1976, an average of 95% of all LHS’ graduates have taken the next step into higher learning or college in pursuit of a defined career path. That same college and career minded attitude in students has been a common place in our community as we again prepare the next class of 2018 for their turn at realizing a planned path. This intentional movement of transforming young 14-year-old, dependent, and wide-eyed freshmen into mature, independent, and college ready adults happens in four short years. It is not by chance that this occurs but by intentional conversation, support, and developmental influences that move a student toward college and career success. Today there is a lot of excitement at Lutheran High School because of eight NEW efforts put in place to impact all students in college and career pathway. New Freshmen College and Careers course – This one semester course introduces the vast array of college and career pathways for students to start identifying their own personal path. New Freshmen PSAT – The PSAT 9 helps students determine what they need to work on most so that they’re ready for college when they graduate from high school—and it supports educators as they guide the way. New Junior college visit field trip – Students will get a jump on college visits with this early year field trip and potentially first college visit experience to a couple of local colleges. New College Tours resource – A guide that includes questions, tips, and tools for use during college visits. New School-wide departmental College and Careers month – Each academic department will have a turn, or month, to give attention to colleges and careers that specifically highlight their curricular content. New In-house SAT – Starting in January of 2018, students will now have the opportunity to take the SAT at LHS. The test, important in college entrance and scholarship applications, requires a great deal of preparation and concentration. There is not a better place to take this test than at LHS. New Ruth Lilly Distinguished Speaker Series – The spring will bring our first of several speakers to the students of LHS. Leaders from area cities and our state will have the opportunity to motivate and engage with our students concerning their life goals.